Back in the chair this week we have Asim and Martin discussing some of the latest sequels. Asim also talks about the english dubbed version of HayaoMiyazaki’s last ever film, The Wind Rises (In Uk Theaters since Friday)! On a much less pleasant note, Martin has been indulging his horror movies taking in Lucio Fulci’s City of the living dead, Lamberto Bava’s Demons (complete with Billy Idol sound track) and most famously of all, Ruggero Deodato’s celebrated (really?) and banned for years, Cannibal Holocaust. 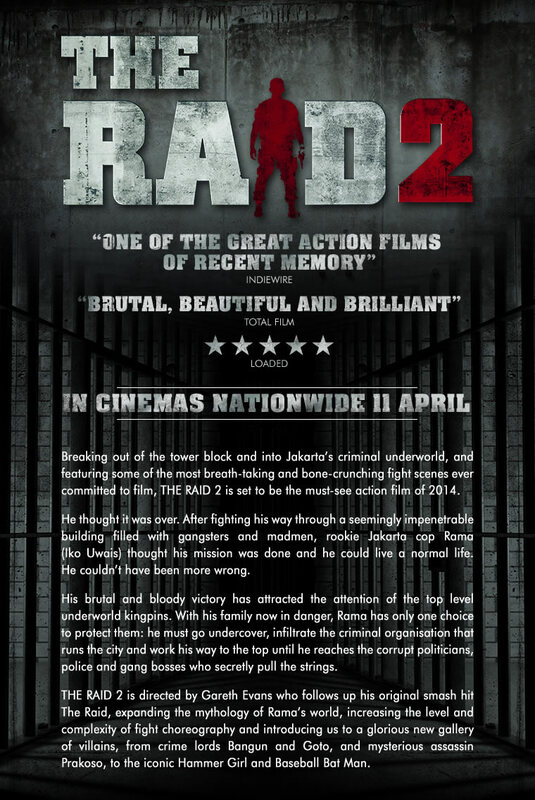 First up The Raid 2 – a mindblowing sequel to Gareth Evans’ Raid that delivers what it says. Never thought an Indonesian movie would sell out a theatre on a Friday night, but this one proves the exception to that vague rule. We satisfy our appetite for superheroes next with Captain America: Winter Soldier. A thriller within a superhero film most would argue second time round is best with this one – so what’s going to happen when Chris Evans retires? Lastly we talk about The Amazing Spiderman 2. You’ll know from our podcast 2 years ago that we loved the first / re-boot, but does this one have the legs to make it a hat-trick of super-sequels?